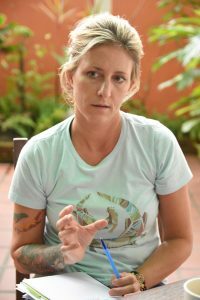 Founder of the Save the Giants (Otters) team, Christina Ward, met up with the Guyana Chronicle to tell of the works being conducted locally to protect one of Guyana’s many giants from becoming extinct. 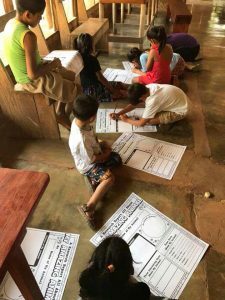 THE village of Yupikari in Region Nine (Upper Takutu-Upper Essequibo) is leading the way in the preservation of the world’s endangered giant river otter, thanks to the help of the Save the Giants (Otters) team. Christina Ward is the founder of https://www.colorsforconservation.com/about Colors4Conservation is an art business with proceeds of artwork going to helping conservation organisations and groups.